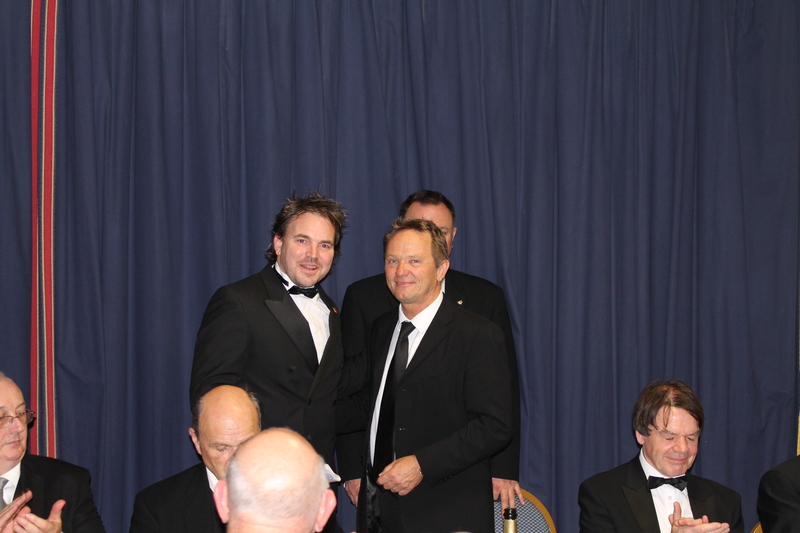 Tuesday 15th November saw Mark Wiltshire installed as the Master or leader of the Hungerford Lodge by Jeremy Dickins. Jeremy has been a real asset to the Lodge over the last year. He has worked hard at the ceremonies and has been just as diligent with the administrative side of the Lodge. Jeremy thanked his team for their support over the previous year before installing his successor in the time-honoured manner. Mark then appointed his team for the coming year, demonstrating how capable he is at memorising and reciting the ritual whilst at the same time displaying a sense of humour and a deftness of touch. 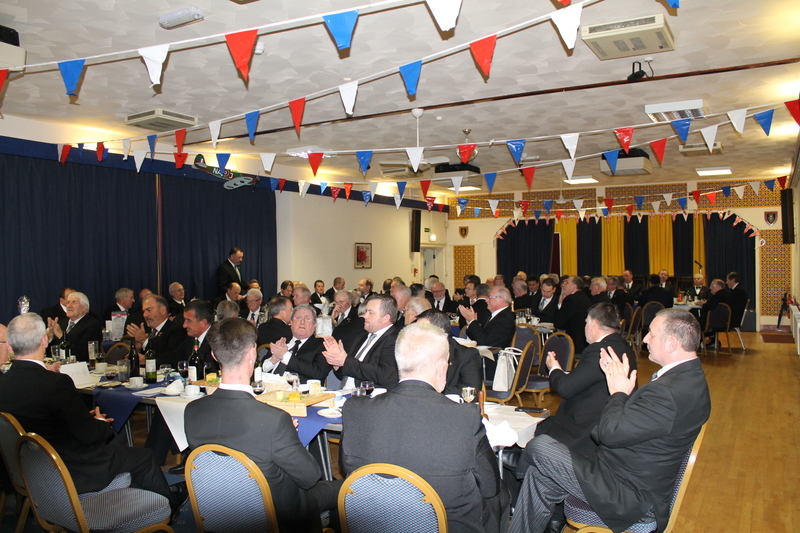 Once the ceremonial part of the evening was over, the members and guests retired to the Newbury Royal British Legion (RBL) Club for a celebratory meal. In all, 88 people sat down to dine on tomato soup, roast beef and all the trimmings, followed by a cheese board. The buzz of excitement for the evening had been building over the last few weeks and the atmosphere at the meal was electric. Masons had travelled from near and far to witness the changing of the guard as it is always a special event in a Lodge’s calendar. Mark is part of the Provincial Outreach team and most, if not all, of the team had turned out to support their colleague. The Outreach team runs Open Days at each of the Masonic Centres throughout Berkshire with a view to making Freemasonry more accessible to the public and dispelling some of the myths propagated by the national media. The team had recently opened the Newbury Masonic Centre for one such event as part of the Remembrance Day activities in Newbury. Once the meal was over the raffle was drawn with some splendid prizes available. The generosity of those attending meant that £500 was raised by the raffle and a further £180 was collected for alms. Mark consulted with his team and they decided to present a donation of £250 to the RBL Poppy Appeal on behalf of the Lodge. The remainder was donated the Lodge Benevolent Association for future charitable works. The RBL team were extremely grateful for the generosity. A traditional part of the celebrations at the Installation of a new Master, is the singing of The Master’s Song. This is a combination of solo and participatory singing. Those who have been the recipient, know this is a very emotional moment for the new Master. One of Mark’s close friends, Graham Reynolds had jokingly offered to sing the Master’s Song for Mark at his installation. Mark was delighted by this offer and held his friend to this commitment. Graham’s skills as a Heating (not cooling) Engineer are more in demand than his singing skills and he was a touch out of practice. This added to the fun of the evening. 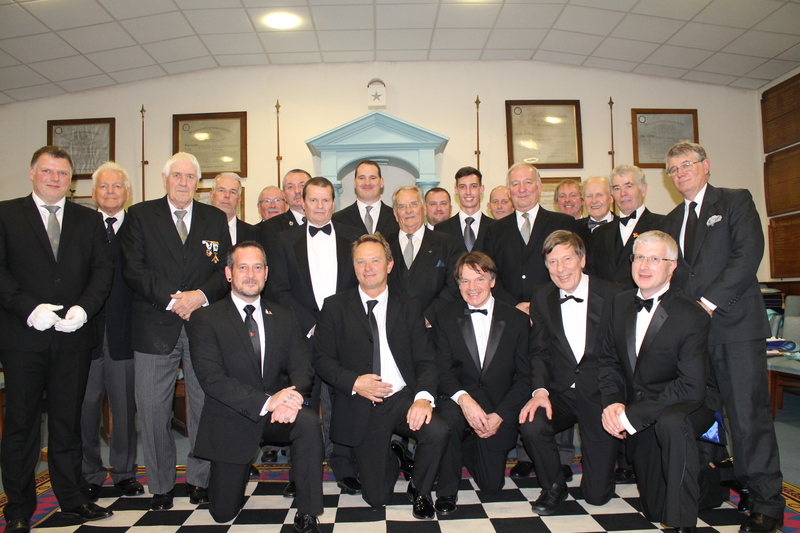 The Deputy Provincial Grand Master (deputy leader for Berkshire Masons) Anthony Howlett-Bolton was on hand to witness the event along with his retinue and they left having thoroughly enjoyed the evening.